After several years of Sony having its run of the mirrorless world, Canon and Nikon finally announced their full-frame mirrorless cameras. The initial sentiment may not be brilliant for both Canon and Nikon; however, I think Canon has done something absolutely incredible. In a previous article, I discussed what I thought Canon needed to do in order to be successful in the mirrorless market. In true Canon form, they did nothing I requested and instead opted for something completely different but still pretty awesome. The EOS R is a full-frame mirrorless camera with the same sensor as the 5D Mark IV but at a much cheaper price. This already sounds great to me, but before we talk about all the good things, let's discuss what they got wrong first. Canon, the proverbial brick wall. This issue has been beaten to bits, and still, Canon thought it was ok to release a mirrorless camera with a single card slot. I know some of you may feel the need to discuss why it's not a big deal, why professionals can still work with it and so on and so forth. It boils down to one thing: two card slots are better than one, and Canon had every opportunity to offer this feature. Also, it's an SD card slot, meaning they had more than enough space to offer another, yet they intentionally chose not to. Nikon can kind of get away with their somewhat weak excuse of not having enough space due to using an XQD card, but how is Canon justifying this? I mean, even Fujifilm with their relatively smaller cameras offer two card slots. Fact is, I won't be buying this individual camera purely because Canon couldn't be bothered to add in an extra SD card slot. When it comes to video, the 5D Mark IV was quite a disappointment due to the massive crop factor and the odd file type. The EOS R does correct one of these issues by supporting a more useful codec; however, the crop factor remains. The crop factor in this camera means that you lose almost 75 percent of your angle of view. A 24mm lens will have an angle of view similar to a 40mm lens, making wide-angle shots and potentially vlogging a little tricky. Yes, Canon does offer an adapter where you can use EF-S lenses like the 10-18mm; however, in my view, that lens isn't a great performer and there are no native lenses that fill that gap currently. The fact that this has the same crop factor as the 5D Mark IV means that this is sheer laziness from Canon. Sony and Nikon have a major advantage in this area due to the crop factor, and Canon has, in my mind, made a serious error with this decision. Canon also decided not to include in-body image stabilization in their camera' however, this was pretty expected considering Canon's position on this feature. Now that we have that out of the way, let's talk about the things I'm excited about. Ok seriously though, talk about knocking it out of the park. These initial lenses that Canon has announced with the EOS R are simply astounding. I'm still processing the fact that there is an RF 28-70mm f/2L. This is the widest aperture (proper) full frame zoom lens on the market by a full stop. Yes, I know, the Sigma 24-35mm f/2, but come on, that lens has two focal lengths. I'm so glad that Canon hasn't gone down the route of trying to make tiny, small-aperture lenses. In stark contrast, Nikon has the poorest lens lineup by a long shot: overpriced and relatively boring f/1.8 prime lenses and a 24-70 f/4. The native lenses available immediately from Nikon are really uninspiring. Some of you may be tempted to bring up the 58mm f/0.95, but let's be honest for a moment. That lens is nothing more than a mantle piece ornament, an impractical, super expensive lens that most of us will never actually buy or even get a chance to use. Canon, on the other hand, has released super interesting and properly practical lenses like the RF 50mm f/1.2L. This is an autofocus, wide-aperture lens that's available to pre-order as soon as the EOS R is. Even Sony doesn't have anything like this available within their system, and they've been at it for some time now. To top it off, Canon has also announced the RF 24-105mm f/4.0L, a more affordable and properly useful lens. The DSLR version of this lens proved to be extremely popular, and this lens will more than likely continue in that vein. To add to this, the control rings on these lenses are going to be such a useful feature and can work as an electronic aperture ring. If there's one thing Canon always seems to get right, it's their lenses, and as usual, they do not disappoint. No matter what complaints you may have about this initial camera from Canon, the lenses look superb. When it comes down to it, the lenses make far more of a difference than pretty much any other feature in current cameras. 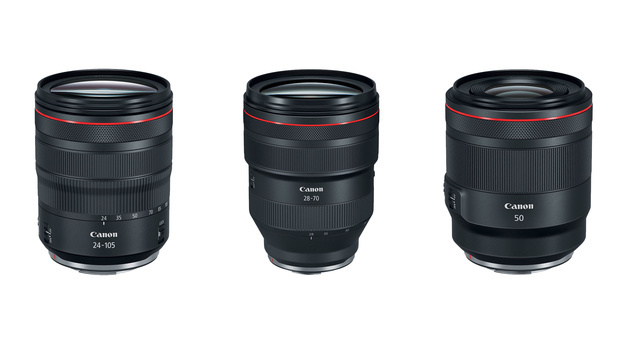 Canon, as usual, still offers the best and most interesting lens lineup. I honestly can't wait until Canon releases a high-resolution mirrorless option (with two card slots), because I'd love to own these lenses. I know I've moaned about the potential for an adapter and talked extensively about how Canon should stick to the EF mount. I am so happy to be wrong about that, because Canon has done something pretty special here with their adapters. Based on some of the initial reviews, it would seem that the adapters from Canon operate very well if not about the same as the native lenses. 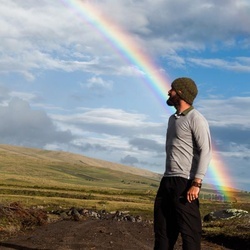 Aside from this, Canon has made use of the flange distance to allow for awesome things like drop-in filters. No other major manufacturer currently offers this feature and Canon has really outdone themselves with this one. Having drop-in filters means less fiddling at the front end, and every lens you adapt can make use of the filters. If you use circular filters with your lenses, you'll know that the different filter thread sizes mean you need to buy a bunch of different filter sizes. The alternative is to use square filters, and that kind of system is less than effective in many shooting scenarios, especially if hand-holding. One drop-in filter in your adapter, and all of your adapted lenses have a polarizer or an ND. As an architectural photographer, I can't tell you how incredible I think this is. Effectively, all of my lenses, including lenses like the TS-E 17mm f/4L can make use of ND or CPL filters. I can see this being extremely useful for landscape and even portrait photographers. 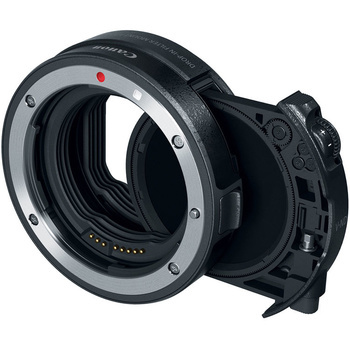 Canon has also announced an adapter that contains a control ring. This control ring can be programmed to do a number of features, but I think it's probably best used as an aperture ring. When it comes to adapters, Canon has done something much better than anything I thought they would and I can't wait to move over to their mirrorless system. I understand that there are a number of people that are disappointed with the actual camera; however, if we look at this as a system, there's a lot to be excited about. Even the actual camera is probably going to be a fantastic option for many photographers. This camera contains the same sensor as the 5D Mark IV, meaning that at this particular price point, it's the highest resolution camera you can buy. The only thing real thing that Canon managed to get wrong with this camera was the single card slot. This is the first camera Canon has announced for their full-frame mirrorless system, and it's not priced the same as their higher-tier cameras. One can assume that when Canon announces a camera to compete with the Nikon Z7, it will probably have two card slots and maybe some other features to entice their customers. Although I won't personally be buying this camera, I can imagine it being a top seller, as it does offer some very compelling features. Ultimately, I think from a long-term perspective, Canon has some huge advantages with their mirrorless system as a whole. Let me know what your thoughts are and what you think Canon should offer in any new EOS R cameras. Lead image by freestocks.org on Unsplash, used under Creative Commons. I've had the exact same thoughts as what you express here. I'm excited for the new system and lenses, less so the camera - though i wouldn't mind using it. The camera also seems to have a lot of interesting features, but it is first and foremost the new system that seems promising. Waiting for the announcement was like waiting mom to say something at school assembly -- your only hope is she doesn't say something embarrassing. Being in the Canon-Camp for so long, the apparent dragging of their heels silence disappointed and worried me. They clearly put thought into what they were doing and may even understand their customers. They did us good. They did add focus peaking and "dual pixel focus guide" which is a pretty big deal for video as well. Yeah it's late yadda yadda, but considering the fully tiltable screen it's a really good feature to finally have. 3. LOW PASS FILTER .. just no ..
7. VIDEO FEATURES .. adding to what you mentioned the FPS for 4k and 1080p is pretty dissapoining in 2018 camera. than some minor things that are not really dealberakers ..
I`m currious about their upcomming second model aimed towards proffesional usage though .. competition in mirrorless segment is needed and was absent for quite long time .. I'm surprised in 2018 that one of Canon's high-end cameras (this one and the 5D Mark IV) still have OLPFs. I understand the Z6 having one (just as the a7 III has one), but the higher end Z7 does not. I think only the 5DSR has no OLPF (either that, or it has that feature where you can turn it on/off - I don't know my Canon specs as well as Nikon or Sony). The viewfinder in the Z6/Z7 is supposed to be amazing. Like class leading, up there with the Leica SL. At least that's what I read in a couple reviews. Ah interesting I did not know it used a BSI sensor, didn't know any Canon's did. And yeah, a7r series has no low pass. I hope the higher end R is without one, but who knows. I'm not a Canon guy at all so it doesn't really matter to me, but I do want them to succeed. Competition is good. Would love to see them pull themselves out of this hole they've dug where they don't seem to care to innovate (and this new EOS R is evidence that they're taking it seriously, especially those lenses). I just checked and I don't think the 5DSR has a BSI sensor in it. It's partly the reason why it's not great in low light. The 5DSR also does have an OLPF but it's been switched off, the same sensor as 5DS but a slight tweak. In my testing I found the 5DSR to be slightly sharper and doesn't have this "oily" look when zoomed in so switching off the OLPF seems to be working great. I didn't think Canon had any BSI sensor tech. I hope they get into that soon. It has definitely proven to have its advantages, and as much as people b*tch about Canon's DR (which I think is an overblown complaint), it's really their low-light that needs some work. And shadow recoverability, but part of that I think is related a lot of the fact that they don't have ISO invariant sensors. I'd love to see them come out with a BSI ISO invariant sensor. I don't care much for high megapixel count, 20-24 is fine for me. Actually the 30MP sensor from Canon is about perfect imo - right between the 24 and 36MP I'm used to with Nikon. I like a lot of things about Canon - love their lenses, love their ergonomics (but I love Nikon's too, they're just different), love the colors. If I was starting over from the beginning, I wouldn't rule out a Canon, though a nice used Nikon FF camera is more affordable than a Canon. All of the Canon hate is silly, most of it. Though the complaints about their extreme 4K crop factor are totally valid when Sony and now Nikon are both able to do full frame 4K, and Canon has had plenty of time to fix that since the 5D4 came out. At least they didn't cripple it to 8bit I guess. BTW I dont really understand the article title either .. not saying EOS R is total fiasco but from current FF mirrorless lineup it is limping bit behind. I agree that Canon did a good job. The 28-70 f/2 is a phenomenal development, not just as one of the first lenses, but the fact that it exists at all. Assuming it's good, which I'm sure it is. I disagree about Nikon's lens line-up. From what I recall, Sony released an almost identical set up with the a7 (35 2.8, 55 1.8, 24-70 f/4). Obviously just because Sony did it doesn't mean it's a good move, but a 35 1.8 and 50 1.8 are absolutely great first releases. Many probably wish the 24-70 was a 2.8, and I don't disagree. I kind of wish they had released a 24-70 2.8 and a new version of their 24-120 f4 for four total lenses. Canon did very well with a 35 1.8 (macro! ), 24-105, and the 28-70. The 50 f/1.2 is a stumble imo. That's a more niche (and expensive) lens that should be released a bit down the road, not one of the original four. Most people just want a 50 1.8 or 1.4. I feel like Canon releasing the 1.2 out of the gate is more of a "wow look at what we're doing" (just like Nikon's 58 0.95), but it isn't the most practical lens to be one of the only four available. TLDR; Canon made great decisions with their lenses (sans the choice of 50 1.2) but Nikon also did a good job (sans the f4 vs f2.8 zoom). Canon also did a nice job with their adapters. Some really interesting options there. There are some things good about it but some are just terrible and stupid. Like why can you take only one image with silent shutter (electronic) ? I like to median stack images in photoshop to reduce noise in static scenes. So I just set my camera to high speed burst with silent shutter and fill the buffer. Photoshop does the rest. Lack of AF joystick is a problem on this camera and several people that have used the camera complained about it. There are few other big problem that have been beaten to death by now but those are still problems. This camera may be good on its own but reality is there are other options that give you more for the money. I hope next one will be better. Btw. I don't do video and I don't really like that fully Articulating screen. Regular tilt screen is faster to use and it stays centered with camera. I've been in love with articulating screens since the 50D. For street and urban, it's awesome. For macro or sports, not so much. I'm not getting any younger, so for me being able to tilt the screen is really handy. Jon, I'm 50+ and I find the articulated screen great for macro. 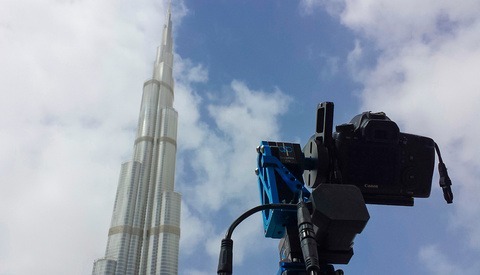 Especially if using a tripod. Live view with zoom focus and tilt screen is awesome for low down macro work. It’s going to do well because it’s a Canon and Canon enjoy the same sort of brand loyalty as Apple. 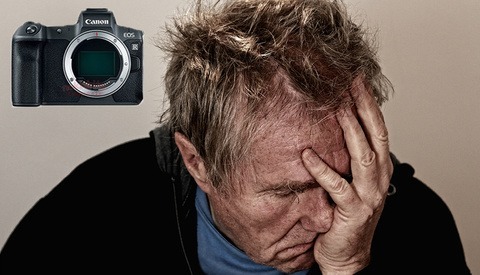 However, as a Canon user since 2006, it’s been a wild journey watching Canon completely dominate the other brands through the first full frame SLR to the first SLR to shoot video and then watch them piss it all away as they failed to keep innovating. From the 5D Mark III to this system, Canon have been happy to incremently improve their product, riding the wave of succes from the previous models. A couple of years ago, I used a Sony A7RII for a year. I had incredibly high resolution with class leading image quality as well as full frame 4K. To get that with Canon, I now have to use two cameras, the 1DX Mark II and the 5DS - ridiculous. They could have taken the market by storm by improving sensor and fixing the 4K. Instead, they’ve chosen the incremental improvement, banking on everyone invested in EOS lenses. Pathetic. 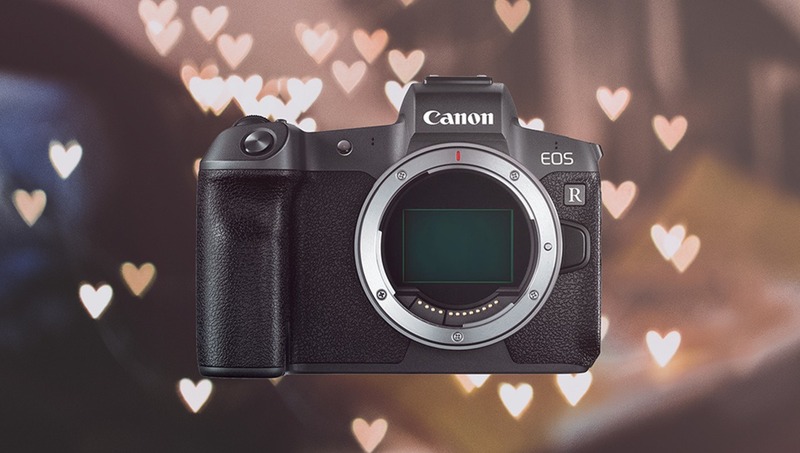 well Canon is playing reactive game in last few years, keeping with competitions, EOS R seems to the case as well, not really pushing forward with this one. (not saying it is bad, MK IV is great camera where they accualy did few nice steps forward, and this is not gonna be worse picture wise and AF is just breathtaking, it is just 2016 camera comming out in different form in 2018) .. It is different than Apple loyality .. you are in with whole system with DSLR .. lenses, flashes, working and postprocessing workflow .. not that simple and cheap to change as buying android or Win laptop (with changing from Apple you are saving money :) ) ..
Swapping away from Apple probably means not only changing your computer and learning a different operating system, but also likely moving away from the iCloud eco-system as a whole and likely more toward the Google/Android eco-system. This means losing your App Store purchases and having to buy the Android equivalents, changing phones, moving Contacts, Photos, and other data over, etc. So while it's not as big of a financial investment, there's still a lot that goes into moving in and out of the Apple system, which is why not too many people will go back and forth. Generally people choose a camp and stick with it come hell or high water. fair enough .. still cheap and easy transition, automated from most parts .. Depends on what you have invested. If you're in audio, you might have an audio interface like an Apogee Symphony that has no Windows drivers. You also might have hundreds of dollars sunk into App Store purchases that you will no longer have access to. You might be used to using a software like Final Cut which does not exist in Windows, requiring you to learn a different program entirely. Also, spec for spec, you don't actually save a ton of money even building your own PC if you're matching an Apple device in terms of component quality. The part about Apple that will kill you is when it comes to cost of replacement part and repairs. The computers off the shelves are actually not priced too much over what it would cost to build a system with comparable quality components. It's not necessarily a cheap or easy transition. Brand loyalty in itself is stupid. I can understand for all kind of logical reasons not to switch to another brand, such as having invested in a system and knowing how to use a system or simply being very content with what is offered. These are damned good reasons not to switch. Even for a rank amateur as I am, changing a system is expensive. If I changed, I had to replace a couple of flashed and 7 lenses. I don't have the money laying around to do that. But staying loyal just for the sake of staying loyal is actually really dumb. Really, get some therapy because you need it. Yeah, agree totally with what you've said. What I meant by brand loyaly, I should have said brand identity. Canon will do well because people identify with the brand of Canon (usually because of all the white lenses at sports games), so when it comes to buying their first camera, Canon is the brand they recognize most frequently. That is certainly true. Most people who buy their first camera, know Canon and Nikon and the rest, they don't know. 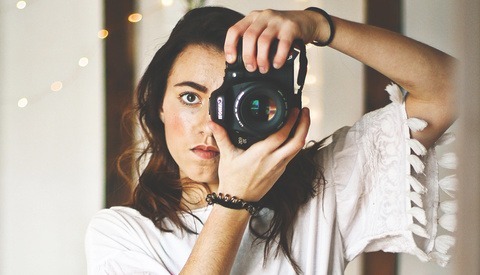 Most people have even never heard of mirrorless. As mentioned in other posts, there are many more issues Canon needs to work out other than just adding a second card slot. And the same goes for Nikon as well. Absolutely, the camera needs some work and I agree. The overall system though is pretty awesome I think. A "Home Run"? Where's the HUMOR tag on this article? So far it's looking more like a base hit. More like an own goal. I've never seen so much negativism towards a Canon product all over the web. Of course it is going to be a top seller. You don't need a Cristal ball to predict that. Really way to shallow of an article just to give you the bragging rights of saying you got something that obvious so right. Just as an example: for your arquitecture needs the 2870 f2 might be ok but having no stabilization how good is it and so many other fields? Then there is the question if 4 lenses and 1 camera is a system. We don't even have a lens roadmap. Who knows when you will even be able to zoom to 200?